Move over mobile marketing: A little voice is whispering that your time as “the next big thing” is almost up. Actually, that whisper is more of a shout, and it’s “Echo”-ing across the digital landscape, as voice-response technology is rapidly emerging as the most disruptive force to hit the industry since the internet became a visual medium. 55% of adults will have a smart speaker by 2022, per OC&C Strategy Consultants, more than doubling the nearly 20% of U.S. adults who report they have one today, according to a 2018 Smart Speaker Consumer Adoption Report. 24% of respondents would rather use a voice assistant than visit a website, according to a study from Capgemini. 43% of companies already invest in technology to enable voice marketing, according to a survey taken at the 2018 Digiday AI Marketing Summit. Research from OC&C Strategy Consultants projects that voice shopping will jump to $40 billion in 2022 (up from $2 billion today). However, the last-touch voice commerce experience has yet to reach the mass adoption levels that retailers like Amazon initially envisioned. According to an Adobe Analytics Report shared by Adweek, consumers are more likely to use digital-assistant technology to inform a buying decision (47%), add items to a shopping list (43%), or compare product prices (32%) than to rely on purchasing-via-speaker as their primary digital shopping technique. And even those who use voice-ordering do so on a limited basis, such as placing one-time orders for delivery (25%) or reordering products (21%). Even if consumers won’t necessarily delegate their holiday shopping duties to Alexa this year, there are plenty of other ways brands can – and should – start to integrate voice-response technology into their marketing plans. Like most marketing journeys, the impending voice revolution is likely to start with a search. Billions of them, in fact, as data from Alpine.AI reveals there are already over 1 billion voice searches conducted every month, and comScore estimates that, by 2020, 50% of all searches will be voice-based. To compete on this noisy (literally) landscape, content marketers may need to follow a few SEO guidelines that relate to the informational needs and behaviors of spoken-word searchers. For example, as a blog post by U.K.-based content agency JBH points out, voice search queries tend to relate to on-the-go topics and are more likely to require only low levels of direct interaction (at least, according to Google). Content marketers may want to focus their content voice-search-optimization efforts on emphasizing shorter-form content offerings and those that provide quick, concise answers – like FAQ pages. 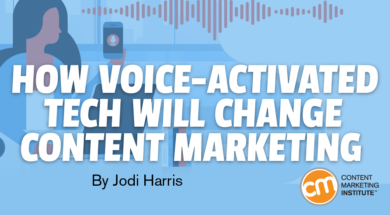 Read: Is Voice Search the Future of Content Marketing? Consider: When it comes to optimizing your content for voice search, it’s also important to remember that digital assistant devices only deliver one search result per request. The key to putting your brand on the tip of Siri’s tongue may lie in getting your content to appear as a featured snippet – the most prominent spot on the SERP. Stephan Spencer offers a helpful primer on how to accomplish this SEO goal. A complete view of the marketing opportunities in conversational interfaces has yet to take shape. But, brands also can open up to verbal discussion by building a voice-enabled chatbot that’s capable of delivering relevant information and helpful content in response to customers’ spoken inquiries. Using advances like natural language processing (NLP), chatbots are increasingly able to interpret the meaning and intent of a search query using signals that go beyond the basic inclusion of keywords and phrases. This means greater accuracy of the responses the bot can deliver and, by extension, increased satisfaction with the customer experience your brand provides. However, to maximize the benefits of chatbot technology, you need a strong underlying strategy for rich content. According to an interview with Urbina Consulting founder Noz Urbina, this includes implementing a thoughtful taxonomy and metadata plan and using processes like task analysis to gain a better understanding of your audience members’ goals and intent as they progress along their customer journey. 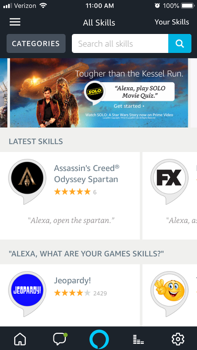 Another point of entry into the voice-response multiverse is to build a custom branded “Skill” – Amazon-speak for a vocal command-driven functionality enhancement (think of it as an audio-only mobile app) for digital assistant enthusiasts. Marketers can create these features to provide consumers with valuable audio content – like daily news briefings, a step-by-step walk-through of a complex recipe, productivity tools, puzzles and games, or even pure storytelling efforts – that extends audience engagement or gives users greater flexibility and control over their interactions with your brand and its products. For example, game show fans can enable the Jeopardy! Skill to answer six unaired questions each day. USA Network’s Emmy-winning series, Mr. 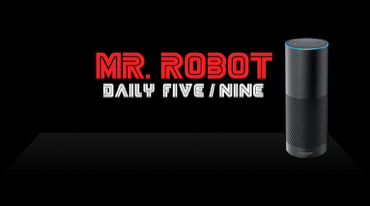 Robot, extended a Season 3 storyline full of tense action, tenuous alliances, and surprising reveals with an interactive choose-your-own-adventure-style game called The Daily Five/Nine. 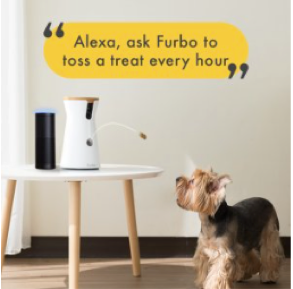 Furbo – a treat-tossing nanny-cam that lets nervous pet parents check in on their fur-kids via video – uses its Alexa Skill to let customers temporarily bypass its mobile app and reward their pups on (voice) command. LEGO recently debuted its Duplo Stories Skill – an interactive storytelling service for children ages 2 to 5 – to encourage them to use their imagination in a way that doesn’t require a huge collection of blocks or the manual dexterity they may not develop until they get older. According to Digiday, LEGO is also actively exploring other ways voice-response technology might impact its sales and marketing experience in the future – including direct purchases. For example, James Poulter, head of emerging platforms at The Lego Group, sees a time when a person’s LEGO order from Amazon will notify its Alexa device to download the appropriate corresponding Skill and will know when to ask whether they’re happy with the purchase. Consider: Just because you build a stellar voice-assistant app doesn’t mean the market is primed for driving consumer attention away from their more familiar engagement channels yet. For example, despite the high adoption rate of digital assistants, the current interface for browsing branded Skills and add-ons isn’t particularly intuitive or easy to navigate, so your brand fans may have trouble finding your offering. Your Skill also may be expensive and require specialized coding skills to develop. And, after all that creation and production work, your effort may not make it into the Skills marketplace immediately – if at all. In fact, in an Adage article, creative agency 360i contends enterprising marketers looking to do battle in the Skills arena should get comfortable with rejection and be prepared to iterate early and often as it’s rare for Google, Apple, or Amazon to accept new voice app entries right off the bat. Some enterprising B2B brands, like Salesforce, are circumventing the application process altogether by adding their own voice to the digital assistant conversation. According to VentureBeat, Salesforce has announced the launch of Einstein Voice, an extension of its Einstein artificial intelligence platform. The new product allows sales managers to dictate memos and operate cloud services hands-free. Salesforce cofounder and CTO Parker Harris points out that one of the benefits of building a corporate bot is that it’s siloed so it restricts data pulls to individual users’ accounts. And, because it can be integrated with other voice assistant technologies, Einstein Voice can deliver a daily brief of “key priorities” like upcoming calendar appointments and team pipeline updates. Is our target audience composed of FOMO-driven early adopters, smart-home enthusiasts, or other demographics/psychographics that are more likely to engage with us here than on our existing content platforms? Do we know how to make our content experience valuable and contextually relevant to these users? Do we know what results to expect from our efforts, and how we will evaluate success? If the answer is no – or you aren’t even sure how to answer the questions – you might be better off waiting for this technology’s marketing opportunities to become clearer before adding your voice to the conversation. In the meantime, if you have thoughts to share on the role of voice-response technology in content marketing, feel free to sound off in the comments – I am always happy to hear from you. Mark your calendar to grow your skills on content technology April 8-10 in San Diego. Sign up today for alerts about registration and speakers at ContentTECH 2019.